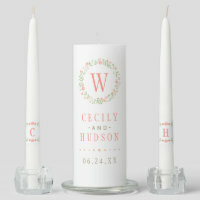 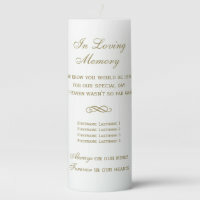 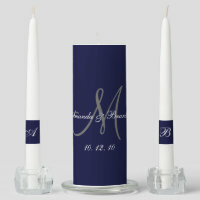 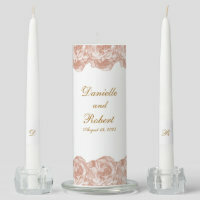 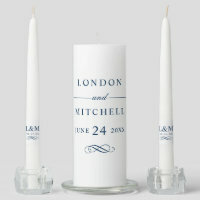 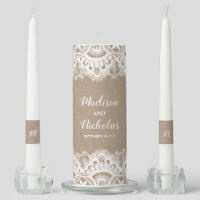 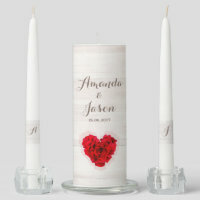 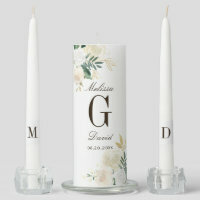 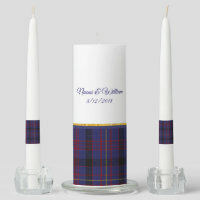 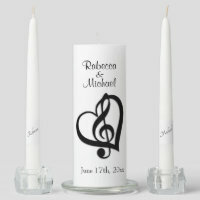 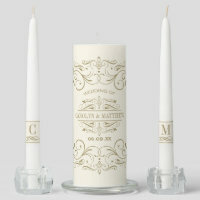 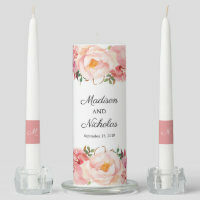 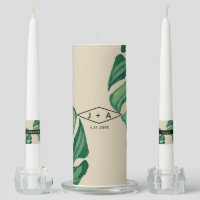 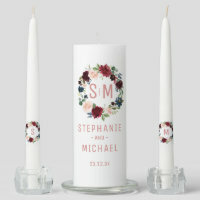 Custom monogram interlocking hearts unity candle set for bride and groom. 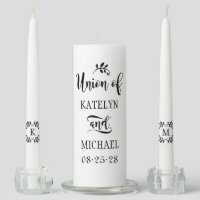 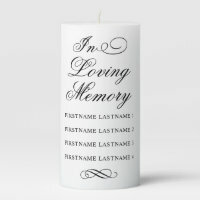 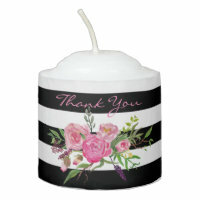 Personalized black and white design with name initial letters and date of marriage. 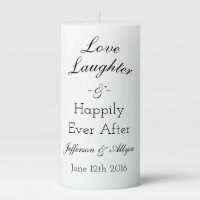 Elegant script typography template with white heart for wedding couple. 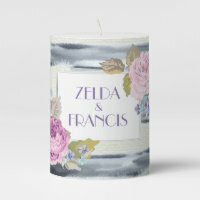 Customzible background color. 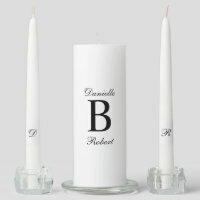 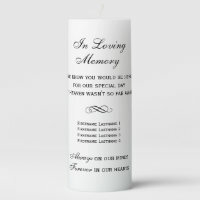 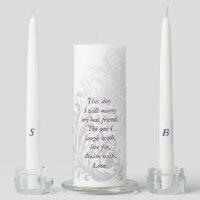 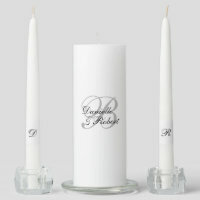 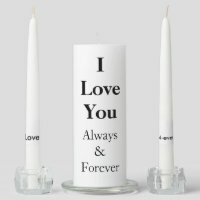 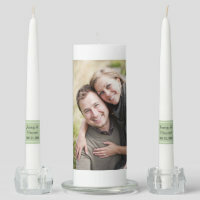 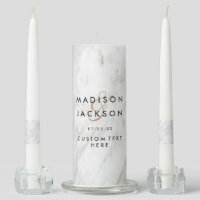 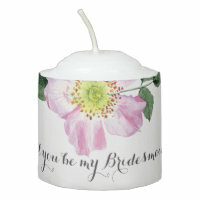 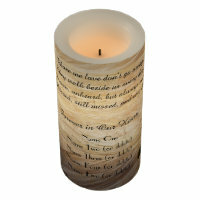 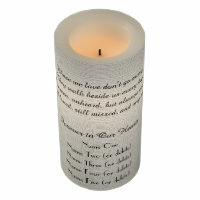 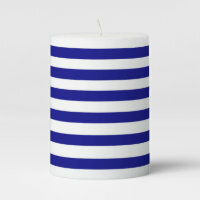 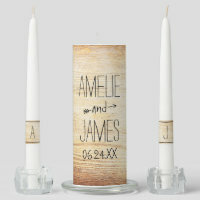 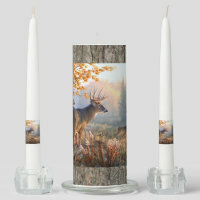 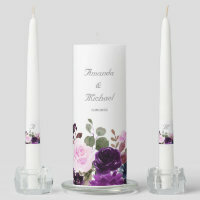 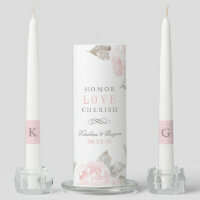 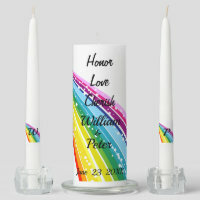 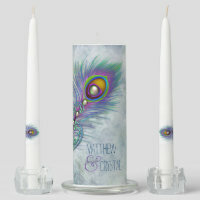 Double Love symbol decor candles for newlyweds. 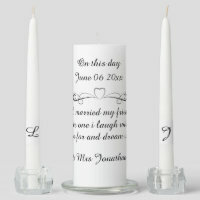 Trendy decorations for venue. 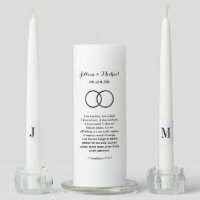 Two Interlocked hearts for classy wedlock ceremony.